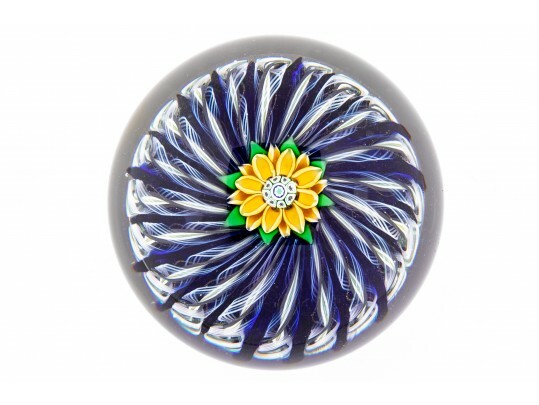 Perthshire, Scotland art glass paperweight with yellow flower, having a caned center, resting on a blue and white lattachino ribbons over a cobalt bed. Retains paper label with original price sticker from Leo Kaplan Ltd. for $395.00. Bears cane with date 1984 on verso.